One thing about Christmas is the assured visits from friends and neighbours and family members, all of the purpose of exchanging sweets and pleasantries. While sampling Christmas cookies can be penned down as the best activity during the holidays, for me, a glass of wine every now and then is a close second best. While some people don't exactly love to drink wine, since they don't understand it, they need something easier and fuss free for the same. And that's where fruit flavoured wines come in. 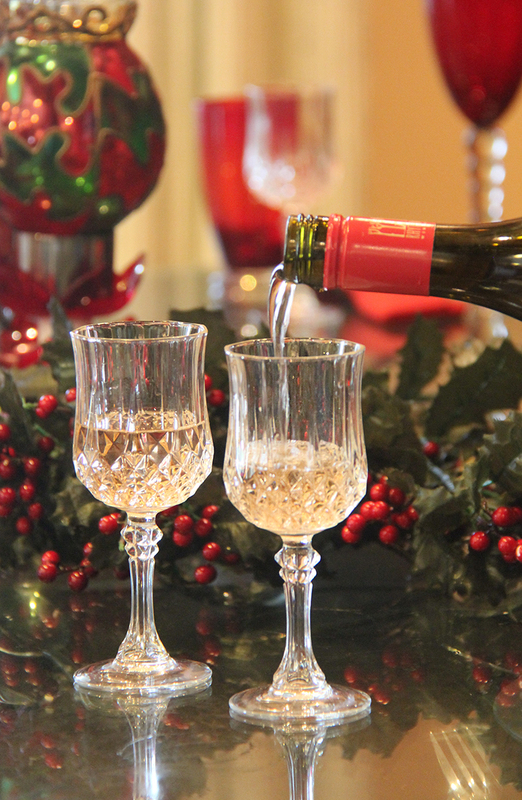 Somehow a person who is less likely to drink a white or a red will almost most certainly like to sample a fruit wine. 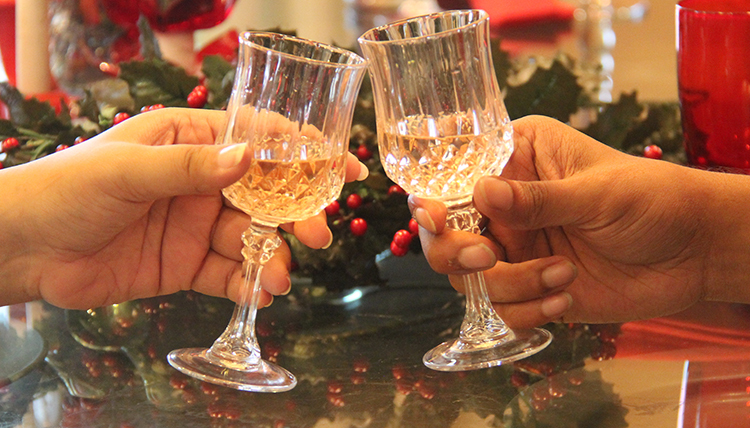 My history with fruit wines during Christmas started a long time ago when a few family members brought back an amazing peach wine cooler pack from New Zealand, and that was the drink served in my house for 2 weeks straight (it was 7 litres!) After that, I developed a taste and I needed my wine! 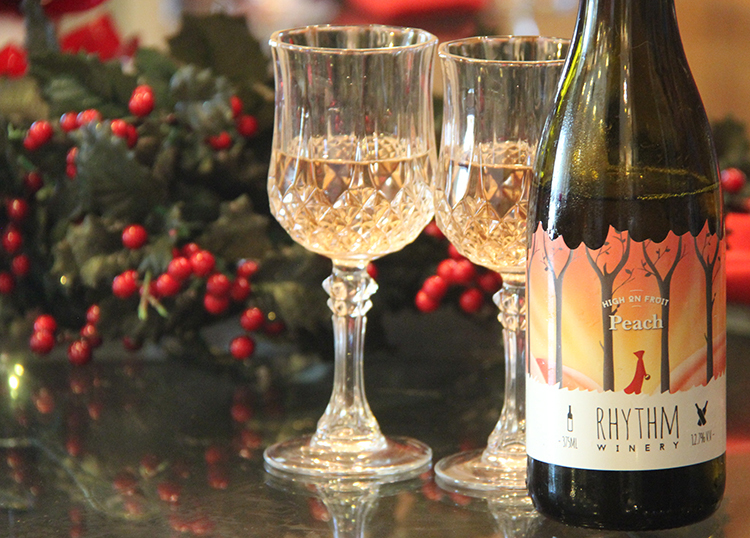 So this Christmas I picked two of my favourite flavours from Rhythm Winery - Peach and Plum. 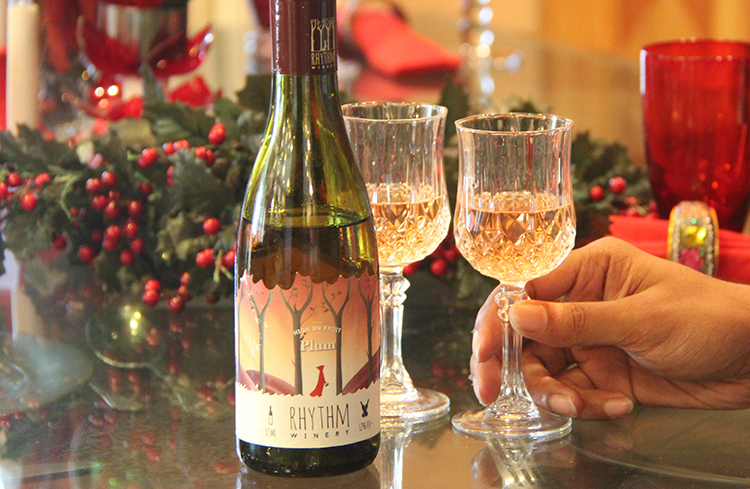 The first wine I tasted from Rhythm was quite a while ago, long enough to forget how it tasted. Back then I had the strawberry and all I could remember was I liked it. 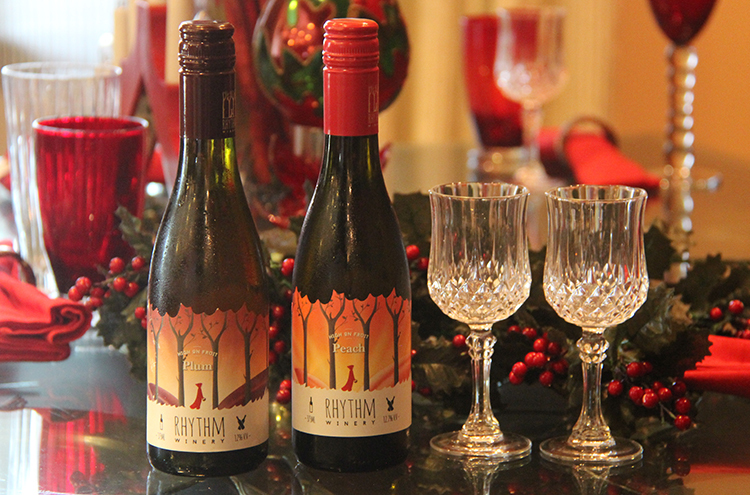 So recently, the team invited me to the 13th Upper Crust Food & Wine show, to taste all their fruit wines. So Ron and myself headed over to taste wines and gorge on other food items. Their peach wine was obviously my favourite. Old habits die hard! The fruit driven flavours were refreshing and every sip felt amazing. It is very balanced and the aroma sticks with you for a while. Quite enjoyable indeed. The plum on the other hand felt like a more cleaner wine with a lot of depth. You can taste the ripeness and how well rounded the wine was. My mom seemed it enjoy it a little too much and she even took a swig from the bottle straight up! 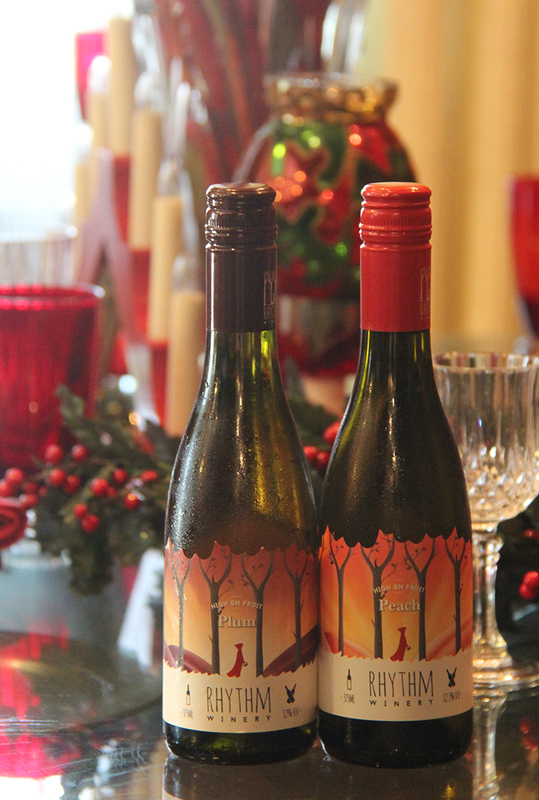 Both wines are smooth and have a tangy, pleasant finish. They taste best when served chilled.